The Happy Mouse CDs have been hugely popular titles here at Koorong for a number of years now. 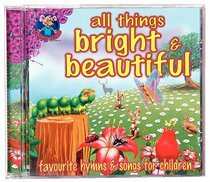 This CD features 18 classic songs like 'To God Be the Glory', all set to varied acoustic arrangements especially for 3 to 8 year olds. About "All Things Bright & Beautiful (Happy Mouse Presents Series)"